In other words, if you're not offering trikes on your showroom floor, you're losing money! Lately, trikes have been as noticeable in the media as they are on the road. 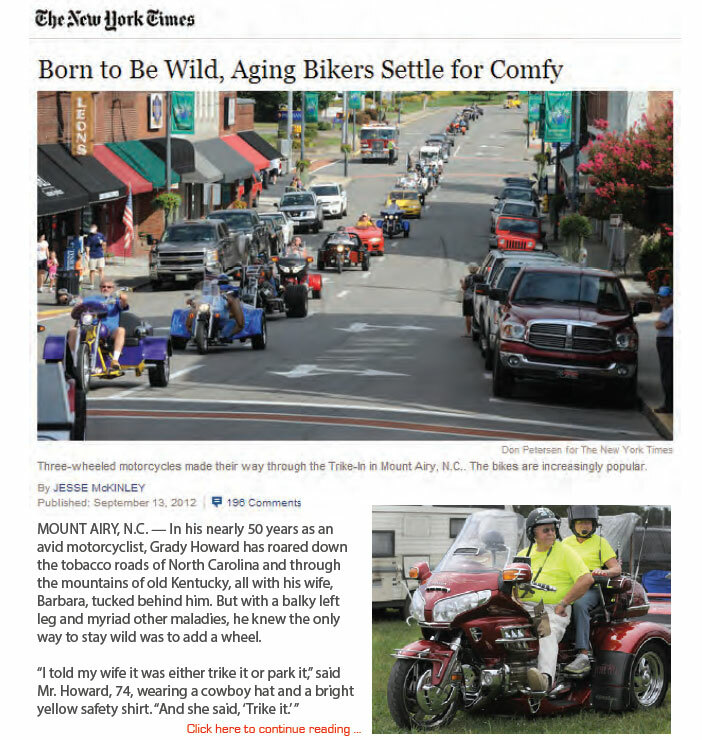 Even The New York Times published an article about trikes' growing popularity. Click on the image on the right to read the full article. Becoming an Authorized Motor Trike Dealer means being part of a growing family of highly respected trike dealerships. When you join our network you can rest assured that you are getting a top-notch product from an experienced and reputable manufacturer. Being a Motor Trike Dealer means that you have been factory trained by professional installation technicians here at our plant. It means that you have a knowledgeable and friendly staff standing behind you. Our team is both customer and dealer friendly, and always there to help with every aspect of the sale. We offer reliable tech support, a solid sales approach, and complete support along the way. And finally, being a Dealer with us means that we value and trust your company to represent Motor Trike, Inc. and our products. You will become someone we endorse to take care of our customers. Someone we have trained and worked with side-by-side to establish a strong and lasting partnership. And someone we are proud to have in our family. We take pride in our workmanship, our products, our customers and our service and seek Dealers that feel the same way. If you feel like your dealership would be a fit and to get more details on any of the points mentioned above, please see the interest form below. Secure your area now before another dealer does! Fill out and submit the form below to take advantage of selling the best products in the trike industry. 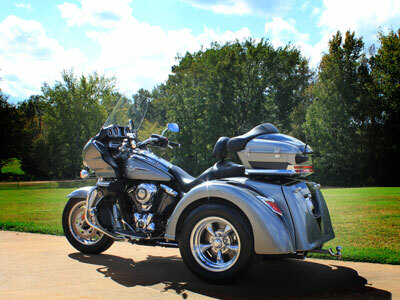 Click Submit To Have Motor Trike Review Your Dealer Interest Request Form!